ACO Water Management’s cellular attenuation system, ACO StormTank, has been selected to provide surface water storage at Centenary Quay – Southampton’s new landmark regeneration project. A key component of a sustainable drainage system serving the site’s car parking and footway areas, the StormTank proposal, which positioned the tank next to a new Section 38 highway, is one of the first to be Category ‘O’ certified having met the adopting highways authority’s strict structural performance criteria. The £500 million Centenary Quay redevelopment will transform the former Vosper Thornycroft shipyard into a vibrant mix of new homes, leisure and community facilities, shops and offices. Funded through a partnership of the South East England Development Agency (SEEDA), Southampton City Council and the private sector, the scheme also includes a new Maritime and Marine Innovation Quarter. Sized to attenuate the surface water run-off that would arise from a 1 in 100 year storm coinciding with a 1 in 200 year high tide – together with a 30% allowance for climate change – the tank would need to withstand the lateral and sheering loads exerted by passing traffic using the new adjacent highway. The challenge facing consulting engineers Capita Symonds was to find a tank manufacturer that could support the proposed scheme with a rigorous structural analysis of its in-situ performance. The 120m3 ACO StormTank at Centenary Quay has a recessed edge profile along one side to avoid any direct vertical loading from a series of off-line parking bays on the highway. Configured to attenuate all the water it receives, the tank is encased in an impermeable welded geomembrane which is then wrapped in a protective outer fleece – a combination that achieves a fully watertight and stable installation. When tidal conditions permit, the tank discharges to the adjacent River Itchen through a conventional non-return valve outlet. ACO StormTank’s design uses high strength central pillars and side walls to provide load bearing capacity and structural integrity. A completed tank only requires side panels at its perimeter to provide lateral support. The result is a totally barrier free interior void that can be easily accessed, inspected and cleaned. The free flow of storm water entering the tank also avoids having to use expensive pipe manifolds and additional pipework to distribute flow evenly. 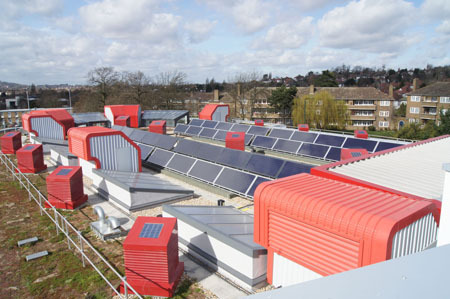 The new Ark Academy in Wembley incorporated Andrews Water Heaters to supply two solar water heating systems and five award-winning direct fired storage water heaters to meet the hot water requirements. The system’s roof-mounted solar collectors comprise the largest surface area of Andrews’ glazed flat plate collectors so far installed in a single project. The Academy, which has specialist status in mathematics and citizenship, is mixed and non-denominational. Completed and ready for occupation in September 2010, the new school buildings provide all-through, primary and secondary education to children aged from 3 to 18, half of whom come from Wembley, with the other half from the Stonebridge and Harlesden areas of London. The planning requirements dictated that a percentage of renewable energy was to be used to reduce the school’s carbon footprint. The building services for Ark Academy were designed by Mitie Engineering Services South East Region which also specified the Andrews Solarflo water heating systems. A spokesman for the company said: “The system was easy to install without using specialist labour, and quick to commission. Since commissioning, the system has been operating without any problems and is easy to maintain.” The equipment supplied comprises two separate Solarflo systems with a total of 150m2 of glazed flat plate collectors, along with five Maxxflo gas-fired storage water heaters which won the Queen’s Award for Innovation for their energy saving capabilities when they were introduced to the market. The solar collectors are installed in two areas: on the flat roof of the primary school, where 100m2 serves the building housing both schools, while the separate sports building is served by 50m2 of collectors installed on the pitched roof. In the school building, the Solarflo cylinder and ancillary plant, together with two Maxxflo water heaters, are located within the ground floor plantroom and serve classrooms, laboratories, kitchen, food tech room, toilet areas and tea points. Equipment in the sports building, including three Maxxflo water heaters, is located in the first floor plantroom, serving, showers and toilet areas. Water is preheated by the solar collectors, which are installed at an angle which optimises their efficiency and the heat is transferred to an unvented cylinder, in turn supplying the Maxxflo water heaters and thereby considerably reducing consumption of natural gas. The complete Solarflo package also includes solar controls, pump station, expansion vessels, first fill of heat transfer fluid and collector mounting accessories. The glazed flat plate collectors and stainless steel unvented cylinders in the range, carry a 10 year guarantee. One of the UK’s largest independent fashion retailers, Mackays Group, which trades as M&Co, is taking steps to secure its continued growth by becoming the first High Street chain to secure full control of its future electricity consumption. The move will see all of M&Co’s stores, in nearly 300 towns across the UK, powered by its own renewable energy sources. To ensure total control and long-term supply, Mackays Group has launched a wholly owned subsidiary business, MEG Renewables, which will invest in, develop and operate small to medium-scale wind turbine sites across the UK. Mackays Group’s strategy is different to that adopted by many other retailers where supply contracts are generally in place with third party wind-farm owners. The MEG Renewables’ model is to develop and own smaller sites of typically one to three turbines with a combined capacity of between 500kW and 5MW. The output from these turbines will be secured directly by M&Co. With MEG Renewables project managing sites, rather than just financing them, the arrangement will also mean that the M&Co business will have continuity of supply throughout the 25 years or more of a site’s operational lease. MEG Renewables has estimated it will need to develop up to 20MW to service all its stores. This approach to develop smaller sites is in keeping with MEG Renewables strategy to maintain a broad portfolio of renewable energy assets. Since launching Recofloor in Scotland just under six months ago, Headlam Scotland is turning the UK’s award-winning vinyl flooring recycling scheme into a real success story north of the border. More than 10 tonnes of waste vinyl flooring has been collected by the firm, Scotland’s largest floorcovering wholesaler and distributor, at its North Lanarkshire premises since April 2011. This figure represents some 3.5% of the total waste collected by Recofloor this year. Collected material is sent back to flooring manufacturers and Recofloor founders, Altro and Polyflor for further processing. Clean offcuts are reprocessed back into new vinyl flooring. Smooth uplifted flooring is used to make traffic management products such as traffic cone bases and speed bumps. Headlam Scotland has operated from its Eurocentral headquarters since 1997 and is the first distributor to launch Recofloor in Scotland. Recofloor bins have been installed at its site to accept off-cuts from fitters, making it easy for them to dispose of waste when they arrive to pick up new flooring and supplies. Waste vinyl flooring off-cuts are also being collected from the new £840 million New South Glasgow Hospital Campus – the biggest single NHS hospital building project ever undertaken in Scotland. Due for completion in 2016 on the site of the existing Southern General Hospital in Glasgow, the 14-floor building will have 1,109 beds, 20 operating theatres and is expected to treat 110,000 patients every year. Headlam Scotland provides one-tonne bags for collecting waste off-cuts from the hospital site. The collection process is overseen on site by its key client, Edinburgh-based Recycling and Services. 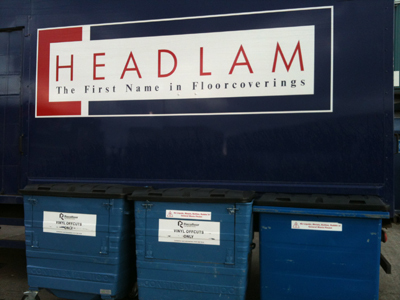 When full, the bags are returned to Headlam’s premises for bulking up before being sent for recycling. 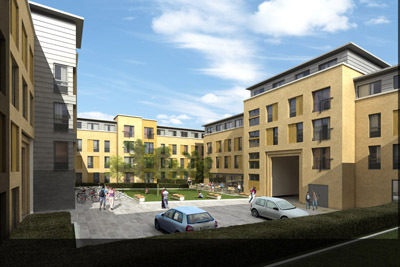 Unite Modular Solutions has been appointed by McLaren Construction as the specialist volumetric modular contractor for a new student accommodation development in Cambridge. Brunswick House is located in the heart of the new landmark Cambridge Riverside Development and will boast the use of volumetric modular construction – the fast-track design and factory manufacture of volumetric units in the form of lightweight steel frame technology that are then joined together on site – for all of its 346 modules. Work on site started in July 2011 and Unite Modular Solutions (UMS) will begin production of the modules at its state-of-the-art Gloucestershire factory in December before delivering them to site. Volumetric modular construction’s ability to meet the strict deadlines required by McLaren Construction was a crucial factor in UMS being appointed as it means that the building can be taken from concept to completion by the start of the academic year in 2012. As well as the project benefitting from volumetric modular construction’s ability to provide benefits in cost and programme reductions, it will also receive enhancements to build quality, improved health and safety on site, a significant reduction in environmental impact and improved through-life performance. Dimplex is benefitting from lower energy bills and reduced carbon emissions at its offices near Southampton with a 61kWp solar PV installation of its own solar panels. In the first phase of Dimplex’s PV project, in the summer of 2010, 16 solar panels with a total output of 3.68kWp were installed on the southwest facing office roof. The array performed so well that it was decided to cover the majority of the suitable roof space with a total of 268 modules. Not only does the project cut the premises’ running costs and carbon emissions, helping towards the company’s carbon reduction obligations under the CRC Energy Efficiency Scheme, the installation also qualifies for the Feed-in Tariff, which makes payments for energy generated and exported back into the national grid. The installation was carried out by Reading-based Dimplex accredited renewables installer Anesco. The modules cover the majority of the southwest-facing aspect of the offices’ roof, and are expected to generate up to 50,000kWh of electricity per year. As the modules use daylight to generate electricity, rather than solar radiation, energy is produced even on cloudy days. In response to the NHS Carbon Management Programme, Whitchurch Community Hospital has installed of a biomass boiler, which should halve the hospital's current carbon emissions with a highly efficient renewable heating technology that produces very little ash and minimal emissions other than water vapour. Installed during the extremely cold winter, the 250kW output Biomatic boiler immediately had to work 24 hours a day, seven days a week to provide much needed heat for the patients, and its performance was impressive, according to the person responsible for installing it. “At peak times the boiler was using 20 tonnes of wood each week. Its performance from day one has been fantastic,” Mike Ball, estates officer said. The boiler is fuelled by wood pellets, purchased from a local company through NHS Purchasing. During the winter the storage silo for the pellets has been filled every two to three weeks, but since then the demand has reduced in line with an increase in the temperatures outside. From the storage silo, the fuel feed to the boiler is fully automatic via a mechanical auger and intermediate hopper system with infra-red fuel level sensor, which reduces cycling of the feed auger, reducing wear and tear and saving energy. Safety features include three-stage burn-back protection, with pressure and temperature sensors interlocked to the boiler control. Unlike many biomass boilers which require continuous burning and trickle fuel feed to stay alight, the Biomatic boiler features fully automatic ignition with self-extinguish and auto-restart during periods of no demand, saving fuel and reducing carbon emissions. While saving energy and reducing carbon emissions, the boiler will provide an economic boost to the community hospital as well. The cost for the installation of the boiler falls to the PCT capital budget, while the expected Renewable Heat Incentive (RHI) money from central government will be given directly to the hospital. 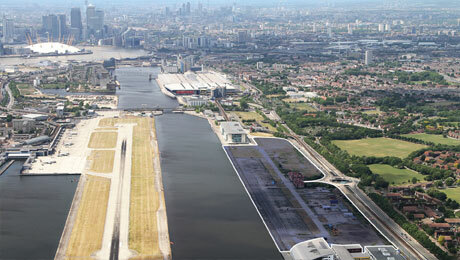 The Mayor of London has announced the final shortlist of developers for the 50 acre Silvertown Quays site in east London’s Royal Docks, located within the new Royal Docks Enterprise Zone. The shortlisted developers are now invited to work with the London Development Agency to come up with detailed proposals that meet the Mayor of London and Mayor of Newham’s vision to create a world-class development that provides quality jobs and creates a sustainable community on the former docks site. Their selection follows an assessment of their outline proposals for the site, judged against criteria that include innovation, ambition and deliverability. The shortlisted developers will start working with the LDA and Newham next week on their more specific ideas. The Mayor announced this while attending the topping out ceremony for global giant Siemens' new sustainability centre in the Royal Docks known as ‘The Crystal’. Set to open next year, it is located in the Mayor's Green Enterprise District and is being built to innovative environmental standards. The Crystal will show how the latest infrastructure technology can make the world’s cities better places to live and work now and in the coming decades. The Green Enterprise District is part of the Mayor's plans to attract low carbon investment and create green collar jobs to make London a leading centre of environmental goods, services and skills. More recently, the Mayor of London and Newham Council successfully negotiated an Enterprise Zone for the Royal Docks which will offer inward investment incentives to help maximise development opportunities within the Royal Docks. King's College London has replaced manually switch-operated ceiling lights with approximately 800 high-frequency sensor controlled lights from Steinel at one of its chief halls of residence, a move that will provide payback within two years and help fund the next energy/carbon reduction project at this education establishment. King’s College London has had a long commitment to carbon minimisation, particularly in the nine years that Keith McIntyre has been energy and environment manager; it was one of the first colleges to receive the EN 16001 energy management standard and is now looking at the ISO 50001 equivalent. One of the latest energy reduction projects came about as a result of constantly finding lights left on at the college’s Great Dover Street Halls of Residence. Here, 769 en-suite single bedrooms are located in 113 apartments served by a network of totally enclosed corridors (no natural light). Lights were often left on around the clock, 365 days a year. One of the biggest challenges at universities and colleges is behavioural change, especially considering that the turnover of students in residence is so rapid; no sooner has one cohort absorbed the thinking, than they have been replaced by a new intake. The answer was to use ‘intelligent’ lighting. In 2009 the college installed the first phase of 200 Steinel lights, equating to a whole block of six floors with two corridors on each floor. Each Steinel RS PRO 500 features high-frequency sensors that guarantee detection accuracy in 360°, at a distance of up to 8m. The sensors do their work regardless of ambient temperature or direction of movement. They provide switching performance that's virtually instant and are integrated more or less out of sight. King’s College London has now ordered for the final phase of three blocks, which will bring the total number of Steinel RS PRO 500s at Great Dover Street to around 1,000. Funding for the project has been aided by the college’s participation in the 'invest to save scheme' through Salix, an independent, publicly funded company set up to accelerate public sector investment in energy efficiency technologies. One Welsh company has just completed a European first – by turning 50 tonnes of waste plastic into a record 90-foot Thermoplastic road bridge suitable for heavy goods vehicles. 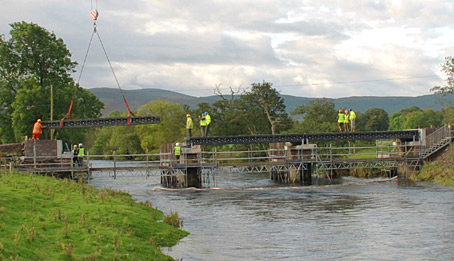 Vertech, a relatively new start-up company, partnered with Dawyck Estates, specialist bridge designer Cass Hayward, Cardiff University’s School of Engineering, Rutgers University’s AAMIPP Department and Axion International, with support from the Welsh Assembly Government, to make the project a reality. The bridge, spans the River Tweed at Easter Dawyck in Peeblesshire and forms part of the historic John Buchan Way. It was built off-site and assembled in just four days by a team from Glendinning Groundworks, a local Peeblesshire contractor, and 10 Field Squardron (Air Support), Royal Engineers. Being made from plastic it won’t rust, requires no painting or regular maintenance, and it is 100% recyclable. Vertech hopes that this process can be used around Europe to make better use of plastic waste and avoid sending it to landfill or shipping it to China. Vertech will also be manufacturing sheet materials using the same technology for use by the European construction sector as a replacement for plywood, MDF and laminates. In doing so, Europe would be able to convert a large volume of plastic waste into high performance and sustainable building materials to help meets its environmental targets. Balfour Beatty Engineering Services (BBES) has secured a contract to create a sustainable new landmark building, the Energy Technologies Building at the University of Nottingham. The new 2,500m² facility will provide the University with a centre that is specifically designed for continuing and developing its world-leading energy research. With this in mind, the £6.4 million facility designed by architects Maber, will be an exemplar of low-carbon technology through the minimisation of its demands for heating, cooling, lighting and ventilation mediums from non-sustainable sources. The building has also been designed to maximise energy from renewable and ambient sources with the sustainable design including innovative earth duct passive cooling which uses the thermal mass of the surrounding earth to provide passive cooling and preheating of ventilation air. Working for main contractor Clegg Construction and M&E consultants, Aecom, BBES will be responsible for the design, supply and installation of building services including heating, cooling and laboratory water as well as transformers, propane chillers, biofuel CHP and research gases. As part of the project BBES will also be installing electric car charging points. The company will also be integrating the building’s electrical supply with the University’s smart grid which will allow the University the ability to monitor and interrogate electrical load movements as part of its research. 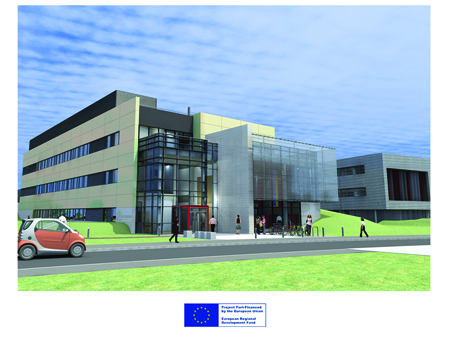 Work will also include BBES providing the infrastructure for some of the main research laboratories. The development is targeting a BREEAM ‘Outstanding’ accreditation for sustainability and with zero carbon being a design requirement for new public buildings from 2018, the ETRI building will act as a shining example of sustainable design and construction. Baxi-SenerTec UK is helping the University of Central Lancashire (UCLan) to meet its building energy management objectives with the installation of a pair of its Dachs Mini-CHP (combined heat and power) units. 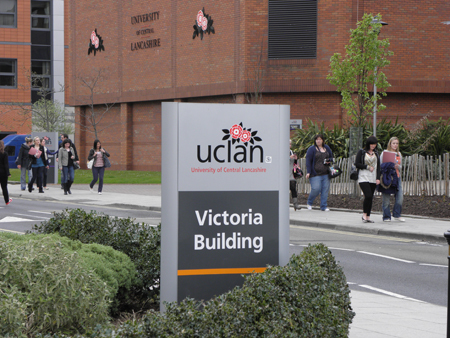 UCLan, one of the largest universities in the UK with a student and staff community of more than 35,000, is in the middle of a programme to install on-site power generation technology that can reduce its need for grid connected electricity and help it “deliver year-on-year reductions in CO2 emissions”. As part of this plan, the university installed two of Baxi-SenerTec’s Dachs Mini-CHP units, which generate electricity and provide heat for its Victoria Building. The units have been running for nearly a year and have proved so successful that the university is now looking for other potential sites where it can use CHP. The four-storey building is home to the Northern School of Design and includes art studios, offices, a cafe and exhibition spaces in its 7,453m2 gross floor area. It was built in 1983 and two gas atmospheric boilers were installed at the time. However, by early 2008, they needed to be replaced, as Andrew Poole, a director of building services consultant BES, explained: “We were engaged originally to undertake a boiler replacement design because the boilers had reached the end of their useful life. The key to a successful CHP installation is to ensure that the engine runs for as long as possible to generate low cost electricity. It is therefore essential to know that almost all of the heat produced by the engine can be used in the building. The Dachs units were installed by Preston-based mechanical building services engineering company James Mercer Group. They are designed for continuous running with a design life of around 80,000 running hours. The reliable internal combustion engine drives a three-phase electrical generator, and the heat generated by the engine is captured and transferred to the building’s heating system. The Grid will make up any power shortfall from the system’s electricity generation, and any excess power generated by the CHP will be automatically exported in the other direction. For the traditionally designed Alvington Place housing development located in the Conservation Area of Alvington near Yeovil, Somerset, insulation was needed that could be relied upon to deliver superb thermal efficiency at the right price. Having used Celotex’s renowned insulation boards in the past to great success, developers Strongvox opted to use it again on the cavity walls of the scheme. The Alvington Place development consisted of a variety of 40 two, three and four bedroom quality homes, planned in line with regional design and constructed from established materials fitting in with the local area. 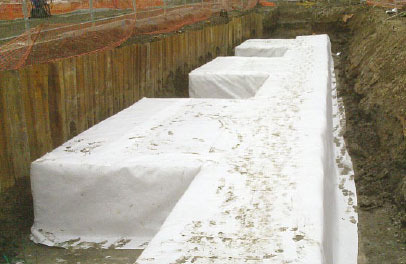 Strongvox selected 50mm Celotex CW4000 for the cavity walls of the homes at Alvington Place. Made from PIR (polyisocyanurate) with foil facers for improved emissivity, Celotex CW4000 offers an impressive lambda value of 0.022 W/mK as well as BBA (British Board of Agrement) certification and an ‘A+’ rating when compared to the BRE Green Guide 2008.The boards also hold uniform thermal performance across the product for supremely reliable performance. In addition to excellent thermal performance, Celotex CW4000 has low Global Warming Potential and zero Ozone Depletion Potential. With a good strength to weight ratio, Celotex CW4000 insulation boards are easily handled and can be cut and shaped onsite with hand tools. Strongvox’s operatives placed the boards between cavities and held them in place with clip-ties to create a high performance thermal envelope. As the boards do not trap moisture – unlike fibre and mineral wools – they provide long lasting and reliable performance and are especially suitable for cavity walling, where high levels of moisture can affect the integrity of masonry. As well as cavity walling, Celotex offers products that can be used in a variety of other applications, including pitched and flat roofs, timber and steel frames and in under-screed flooring. Curtain walling, windows and doors from architectural aluminium systems supplier Kawneer feature on a mixed-use development designed as a £71 million gateway to Hastings for business visitors, tourists and residents alike. At the centre of the Station Plaza scheme is a Kawneer-clad new £65million sixth form and further education college – the result of a fundamental review of post-16 education by the Learning and Skills Council. But the scheme also includes a primary care health centre and more than 100 new, mixed-tenure homes. Kawneer’s AA100 and AA100 SSG (structurally silicone glazed) curtain walling, with 50mm sightlines, was designed, fabricated and installed by approved sub-contractor Leay on the ground floor and upper five storeys of the college building. This is one of four BREEAM Excellent buildings linked by a large, light-filled glazed atrium. The Kawneer curtain walling was complemented by AA603 tilt slide windows on linear and convex elements of the building, AA605 low/medium-duty swing doors and series 190 heavy-duty commercial entrance doors. Part of the Millennium Community Programme, the Station Plaza scheme has brought thousands of students into the town centre. It was built next to the re-opened railway station on an old goods yard bought by Sea Space, the economic development company for Hastings and Bexhill. SEH Commercial has completed a significant renewable energy installation in a new build property in Suffolk which will generate over £40,000 through the Feed-in Tarif (FIT) scheme for the owners as well as reducing their carbon output. The property – Paget House in Middleton, just outside Saxmundham – is discreetly tucked away in a quiet rural location set back from the road. The site which was previously owned by neighbour was acquired by a developer some years ago and Mr Cusack purchased it with planning permission to build his own property. SEH Commercial, specialists in bespoke renewable energy projects was employed to install a ground-source heat pump (GSHP) and a photovoltaic system. The double garage adjacent to the main house is the site for the 3.6kWp photovoltaic system which uses Mitsubishi 225Wp modules and is connected to the grid via a Fronius IG TL 3.0 inverter housed in a purpose-built plant room included in the design. 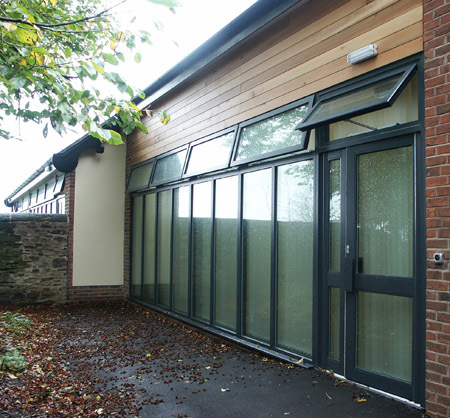 Aluminium elliptical and specially shaped apex framed windows were supplied and installed by fenestration specialists Total Glass as part of a major refurbishment programme at St David’s Haigh and Aspull Church of England Primary School near Wigan. 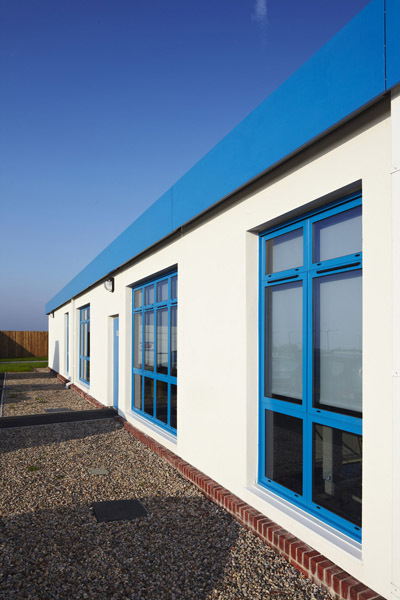 Working with main contractor ABM Ratcliffe, Total Glass also manufactured and fitted four large window wall screens and entrance doors, using the Sapa aluminium system, for a new extension with three classrooms next to the Victorian school building. The school’s emblem was incorporated within the new 202 main entrance door’s safety glass. Four Dualframe window wall screens and two 75mm casement windows were finished in a RAL 7016 grey powder-coated finish in keeping with the character of the 1840s main building, while greatly improving its overall thermal efficiency, security and aesthetics. Two circular windows replaced old single-glazed steel versions in each gable end. Tinted anti-sun glazing was specified throughout to reduce glare on hot days and help produce solar gain during the colder months. Head teacher Mrs Catherine Boulton said the floor to ceiling windows have greatly improved the levels of light coming into the building and contributed to a welcoming learning environment for the pupils. Other improvement works at the school, which enjoys panoramic views to the Pennines and beyond, included a new slate roof. Off-site construction company, Yorkon, has handed over a new purpose-built satellite haemodialysis unit for Plymouth Hospitals NHS Trust. In independent tests for air permeability, the building exceeds Building Regulations Part L 2010 by 90% without any adaptation to the standard Yorkon building system. The unit forms part of a £12m investment by the Trust to deliver more services out in the community in line with Government priorities for the rapidly expanding population requiring dialysis. The 954m2 single-storey building was constructed to a challenging programme and comprises 27 steel-framed modules which were craned into position in just four days. Designed by Yorkon, the centre features cedar wood cladding to the main entrance elevation, a blue fascia with co-ordinating blue doors and windows, and white render to the other façades. Facilities include an open plan area with 29 dialysis stations and four private cubicles, dirty and clean utilities, reception area, seminar room, kitchen, staff room/showers, IT room, consultation rooms and administrative offices. 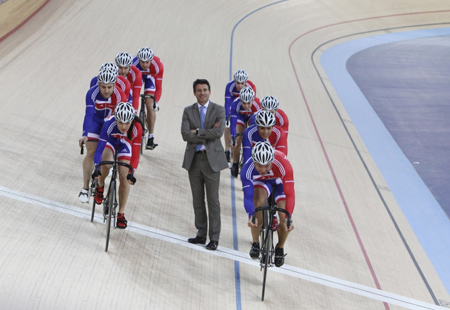 The London 2012 Olympic Velodrome has won its own award almost nine months before the cycling begins. The Velodrome, which was designed by Hopkins Architects on behalf of the Olympic Delivery Authority (ODA), has been awarded the Prime Minister’s Better Public Award at a ceremony in London. The Velodrome is one of the most sustainable venues on the Olympic Park in terms of design and construction. Sustainable choices were made wherever possible; from the sourcing of wood certified by the Forest Stewardship Council to be used on the track and external cladding, to the installation of a 100% naturally ventilated system. This ventilation creates a perfect track-level temperature, eliminating the need for air conditioning. The design of the venue makes optimal use of natural light, reducing the need for electric lighting. It also has a low cable net roof system, creating an amazing atmosphere for spectators while reducing the amount of space to heat and ventilate. Construction began in 2008 and was completed in February 2011. Construction Minister Mark Prisk said: “The London 2012 Games are a golden opportunity for the UK construction industry to showcase the very best that Britain has to offer. With investment in sporting event related infrastructure estimated to be $200 billion over the next decade, the opportunity for UK business to grow is huge. The award is part of the British Construction Industry Awards. It is sponsored jointly by the Cabinet Office and the Department for Business, Innovation and Skills. 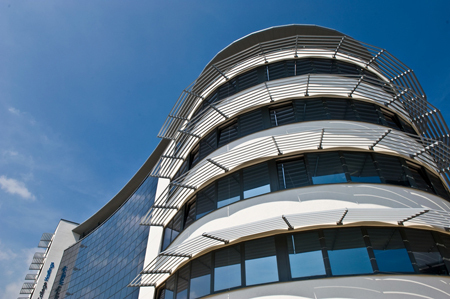 Bowater Building Products has been awarded a supply contract for its System10 Aluminium products by the LHC (formerly the London Housing Consortium) under the recent Aluminium Windows and Doors (A5) ‘framework agreement’ round. The A5 framework agreement – now in place until 2015 – is suitable for low, medium and high rise housing schemes, schools and all other types of public sector buildings across England and Wales. LHC is a not-for-profit consortium set up to provide effective procurement solutions for local authorities, housing associations and other public sector bodies. An LHC framework arrangement is an EU-compliant agreement set up with suppliers for the purpose of establishing the terms governing contracts to be awarded during a given period with regards to quality, quantity and price. Choosing LHC framework arrangements will, in most cases, help public sector bodies make significant time and cost savings. System10 Aluminium is a, quality-engineered system that, for all exterior and aesthetic purposes, resembles an aluminium window in terms of the associated sightlines, performance and finishes, yet it exceeds the installation and maintenance criteria of ‘traditional’ products and delivers energy efficiency benefits way beyond those previously experienced. System10 Aluminium 0.7 W/m2K options will meet Code Level 6 of the Code for Sustainable Homes, and comprise a 4-12-4-12-4 36mm triple-glazed unit (90% Krypton, Swisspacer V, polyurethane secondary seal), steel reinforcement designed for improved thermal performance, foam-filled chambers plus foam-filled thermal inserts. Geze UK is helping to bring Scottish history to the streets of Edinburgh, as the world-class National Museum of Scotland opens its striking new doors. The £47 million project by Gareth Hoskins Architects (GHA) has transformed the original Victorian building into a 21st century visitor experience and Geze UK was chosen to supply the welcoming glass entrances at street level. 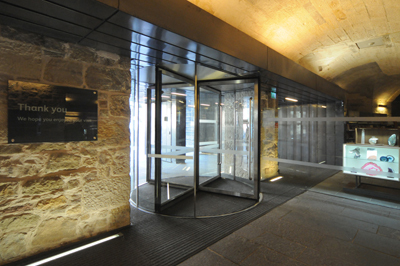 The transformed National Museum of Scotland, required a series of doors to provide sustainable, safe, functional and elegant entrances and exits, which also complemented the traditional stone surroundings. Two of Geze’s automatic TSA 325 NT revolving glass doors were chosen for the main public entrances, meeting demands for an aesthetic and sustainable solution. 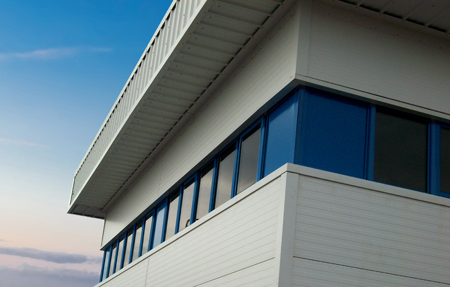 The 4-wing TSA 325 NT provides a high degree of insulation against the elements and noise, saving energy and ensuring a pleasant and uniform climate inside the building. With public safety and easy accessibility in mind, four mighty Powerdrive PL automatic sliding operators were also installed; powering two single leaf pass doors that facilitate access for the disabled, and two for fire safety. In the event of a fire alarm, the internal design of the building will funnel people towards the doors, which will immediately open to allow maximum space for visitors and staff to exit quickly and safely. The Powerdrive PL is an economical and reliable operator for big, heavy door leaves and large opening widths, providing convenience and safety, which is ideal for public buildings. The first council homes to be built in Manchester for 20 years are optimising energy efficiency through products from Glidevale. Designed by architects Bowker Sadler and built by The Cruden Group, the 32 two-bedroomed bungalows are set to achieve Level 4 under the Code for Sustainable Homes, using energy efficient features including Glidevale Sunscoop tubular rooflights, which will optimise natural daylight within the hallways during the day without the need for electrical light. Glidevale’s Sunscoop is designed with highly reflective tubing to connect the roof-mounted glazed dome to the diffuser set in the ceiling below. The design of the bungalows’ roofs and interior meant each roof mounted flashing had to be installed close to a valley and ridge between two adjacent roofs, with the connecting tubes threaded between the roof’s structural timbers to achieve as straight a line as possible to the diffuser mounted in the hallway ceiling. Alternative, similar tubular rooflights could not be installed without impinging on the integrity of the flashing for a weathertight seal, and with several bends in the tubing, each of which would reduce the final amount of natural light reaching the hall. 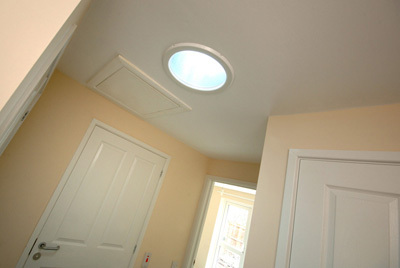 As a result, a 350mm dia Sunscoop SR95 is being installed in each of the 32 homes. Nick Thawley, Cruden site manager, said; “The homes incorporate a range of sustainable solutions to optimise energy efficiency, including timber frames, rainwater harvesting, heat recovery ventilation, solar panels, and the Sunscoops. 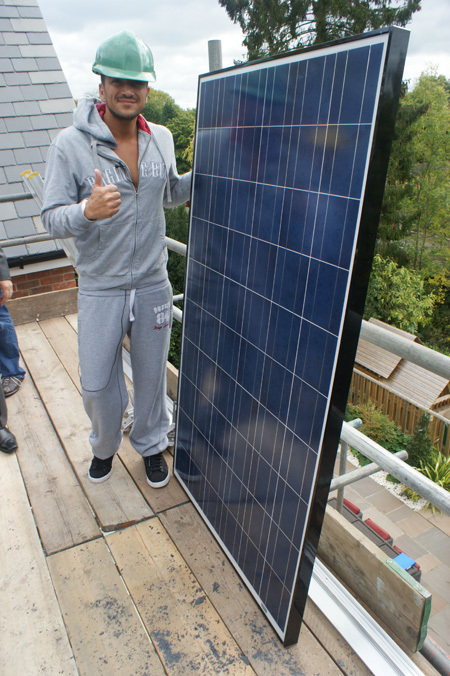 Pop singer Peter Andre recently decided to have Ultima Solar PV panels fitted to his property. 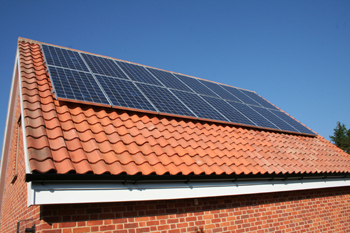 The new high quality panels will enable him to generate electricity to help power his new West Sussex home. The British manufactured panels are designed specifically for the climate in the UK, using tougher glass and bypass diodes to withstand the typical British weather. Ultima Solar panels have a high power output and an 11-year warranty. 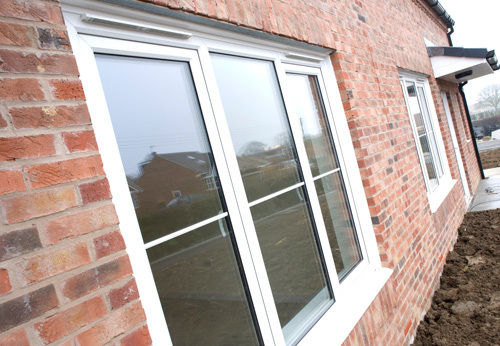 North East window makers Warmseal have completed six contracts to provide high performance Sheerframe windows for new council homes across the East Riding of Yorkshire. The windows, which deliver U-value performance of 0.8Wm2K, are playing their part in achieving code level 4 standard. The £42 million housing construction programme by East Riding of Yorkshire Council is the biggest ever council home new build project in the region and is designed to help ease the chronic shortage of affordable homes. With a council housing stock of 11,000, East Riding still has around 8,500 local people on its housing waiting list. Warmseal was selected by main contractor Hobson and Porter to manufacture and fit Sheerframe windows in combinations of cream and white or grey and white frames on six separate sites across the region. The windows were fixed into timber frame construction homes being built with funding support from the Homes and Communities Agency. In total, the 331 new homes – a mix of two house types with three elevation variants – are spread over 34 sites across the East Riding. 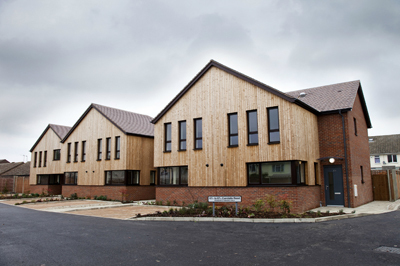 The homes are mostly two bedroomed dwellings designed for older people and young families. Designs have taken account of the need for ‘Lifetime Home’ provision. The second phase of the ambitious build programme, in which Warmseal has been involved, will be completed by the end of 2011. Green Guide environmentally A-rated Sheerframe triple glazed tilt and turn windows, made by Warmseal at their main manufacturing plant in Throckley on Tyneside, have other sustainable features: they incorporate Thermlock FP, a reinforcing material which gives the frames added strength without compromising thermal efficiency; the windows are made using calcium organic rather than lead or heavy metal based stabilisers; and at the end of their life they can be 100% recycled. CW4000 boards from Celotex were specified for a new housing development on Cundalls Road, Ware, East Hertfordshire, which had a target to achieve Code Level 3 accreditation in the Government’s Code for Sustainable Homes without the need to incorporate renewable technologies. 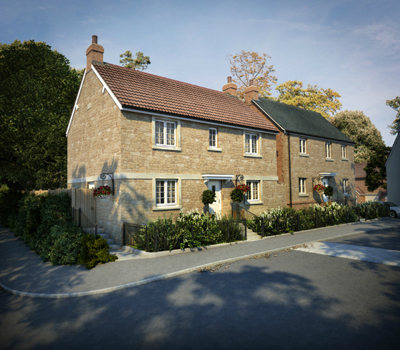 Located on the site of disused garages, the development comprises four three-bedroomed semi-detached houses and a four-bedroomed detached house. Designed by Bugler Developments and consultants Alan Camp Architects for Riversmead Housing Association, the Cundalls Road development was built in a series of projects that provides 18 new affordable homes across three separate sites in East Hertfordshire. The scheme consists of traditional brick and block cavity finished with thermowood cladding. With sustainability of utmost importance, as well as providing a simple solution for partial fill cavity walls, CW4000 insulation was specified. Made from PIR with foil facers for improved emissivity, the product achieves a lambda of 0.022W/mK, helping the project meet the desired U-values. Its exceptional performance also helped ensure the project met Code Level 3 without the need for costly renewable technologies. Celotex provided 1,000m2 of 100mm-thick CW4000 for the main cavity walls, plus an additional 1,000m2 with a thickness of 50mm for the recessed porch areas. The Celotex boards are durable, extremely lightweight and easy to cut-to-fit using hand tools. Once fitted between the brick and block wall, the boards were secured in place using cavity tie clips, creating a high performance thermal envelope. 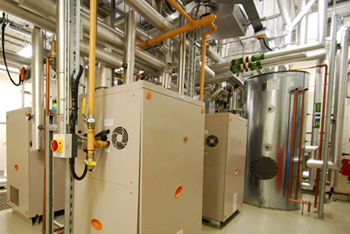 The UK’s largest closed loop ground source gas absorption heat pump installation is providing low carbon heat to The Open University in Milton Keynes. The heat pumps have been supplied by Ener-G, which worked in partnership with mechanical and electrical contractor Rushmoor Mechanical Services to install the technology at Building 12, a 2,000m2 sustainable new-build development that forms part of the Walton Hall campus. The new building, which opened earlier this year, is targeting a BREEAM Outstanding rating. It incorporates natural ventilation, night time cooling, solar chimneys, automatic lighting controls, a green roof, solar water heating and photovoltaic panels. Building 12 has been constructed as part of a wider campus development programme under a construction Framework Agreement between The Open University, main contractor SDC Construction, architect Ridge & Partners, civil and structural engineer PEP, and partnership facilitator Mike Thomas. Ener-G drilled 13 boreholes to a depth of 100m+ to install a ground loop system that feeds four gas absorption heat pumps, with a combined capacity of 140kW heat output. This is supplying the building’s heating requirements and will achieve carbon dioxide savings of approximately 45% in comparison to a system heater via a condensing boiler. 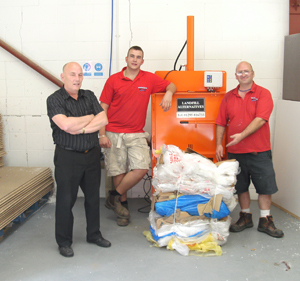 Mid Kent Windows, the Tenterden-based fabricator and installer, has recently taken delivery of a recycling compactor from Landfill Alternatives for its cardboard and polythene packaging waste. Kevin Wells owner of Mid Kent Windows said: “As part of our existing environmental policy and our commitment to on-going improvements in our operations production facility we wanted to ensure that none of our recyclable cardboard and polythene packaging waste ended up in landfill. “This simple waste segregation process has also enabled Mid Kent Windows to benefit from significant cost efficiencies by reducing the frequency in which our skips are emptied.